A couple of weeks ago, I was invited by my friend, Paolo Lorenzi to see and experience the business VR/AR solution from his company InContext Solutions. I ran into Paolo at a party where he was elated and excited about his new company and its value. I just had to experience it for myself. I have tried VR/AR in several tech accelerators and early stage companies in the past. I also saw some work that students produced at Bergen Tech High School (Public High School ranked #4 in NJ) Robert Scoble. is an active author and great resource in the space and is regularly, almost daily, shooting Facebook Live videos and sharing his experiences with new companies in the space. I have experienced several apps on different VR/AR platforms today (Oculus and HTC) in several tech accelerators and early-stage investments I have reviewed. However, most of them are being built around social and game segments which are not in my wheelhouse. (I am a B2B market expert). I even tried the Google Cardboard with my son’s phone and was amazed at the perspectives you could get looking around in space, animated environments and more. My advisory and investment work takes me into more industrial applications, so I was not as excited as I was when I first saw Paolo’s product. What I saw, through the Vive Headset and controllers from Incontext, shattered my B2B senses. Here was a business solution that could rapidly setup nearly real-looking retail environments and get valuable customer feedback quickly and at a much reduced cost and risk. What they enable is the ability to have actual customers, walk-through nearly real retail environments, and allow them to pull products off the shelf and inspect them as if they were there, in-store. The experience to the consumer is extremely high, the only thing missing seemed to be the sense of smell. Do not consider this just a value to retailers, but more importantly, there is great value to the manufacturers. Retailers are able to get a rapid response to new store designs, in-store walking patterns, reactions to interior design changes, before going to the expense of physical mock-ups. This can save extensive costs in choosing the themes, traffic patterns, promotional programs to drive more revenue per customer and more customers who buy. Whether its at the cash-register for impulse purchases, the impact of POS promotions, or aisle patterns and breaks to guide customers to naturally paired purchase selections. For the products and goods manufacturers, it can provide immediate reactions to new packaging, color choices, and even how people pick-up and review the packaging. InContext provides the ability to get heat maps as people walk realistic aisles in the store. This provides a direct feedback as to how and when people walking down the aisle, See your product, and decide whether to purchase versus all the other competitive or adjacent products surrounding it. I was even able to pick up cereal boxes and read the nutrition labels on it, simulating a purchase review example. The application and potential of AR/VR is Just Beginning to be seen…. Consider that we are the beginning of the potential of how these can be applied and will be applied. The experience is quite revealing when you stop staring at a 2D TV and start swiveling your head and body to look around. It just reinforced that this technology, both AR and VR, will greatly change how we evaluate situations, train teams on new products and services, establish troubleshooting methods and even control machines remotely to name a few. I got so jazzed up by the experience with InContext that I went and bought the Samsung VR Gear (a poor mans’ VR solution). It was an $80 solution, compared to $800 (plus a $2K computer) for the Oculus and HTC solutions. However, it gives you initial access to some amazing 360 degree and virtual worlds designed and built by talented people from around the world. to being in the center of a jazz of classical orchestra, or an experience watching Netflix which appears to be your own 200 inch Movie Theatre. If you are a Star Trek (Trekkie), you know of the Holodeck. Consider this to be the first step towards that experience. A Taste of Potential in Industrial and B2B Solutions… not just games. manage a meeting “on-site” where you can see things live, without having to leave your office and lose precious travel time. We are at the beginning of this technology application and potential for disruption. Do it now… Talk about it.. Socialize it. If you are in any Technology related field, the experience could be invaluable. 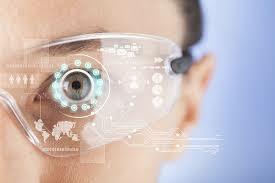 As a large company executive, I would ensure that all employees get exposed to this technology soon. If you want people’s morale to change and improve, exposure to this experience can open up the imagination and potential to innovate. In some respects, its analogous to the first time I saw Color TV. We HAVE come a long way Baby.